1 Who is Laura Dotson from “Storage Wars”? 4 How Rich Laura Dotson Is? Who is Laura Dotson from “Storage Wars”? Born Laura Christine Payton on the 13th May 1968, in Thousand Oaks, California USA, she is known to the world for her appearances in the reality series “Storage Wars” (2010-2017). Together with her husband Dan Dotson, she runs an auction house – American Auctioneers. Laura grew up in her hometown, but there are no further details about her early life. At some point she became interested in auctioning, and since then has pursued it as a full-time career. In 1988 she became a professional auctioneer, and several years later met her future husband Dan; apparently, she was at one of his numerous auctions looking to buy some restaurant material, and since then started working together, and also fell in love. Joining Dan in his American Auctioneers company, Laura soon launched the company to new heights and gradually increased the number of successful operations. Laura has also set-up the StorageAuctions.net website, that offers self-storage auction listings in the US and Canada. Dotson’s company is handling over 3,000 auctions and appraisals per year, which has certainly helped to increase her net worth. Thanks to that success, Laura and Dan were chosen as cast members of the new A&E reality series “Storage Wars”. 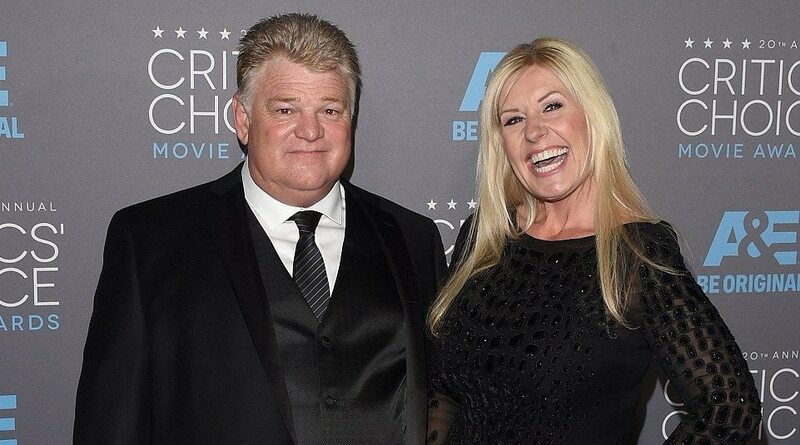 In 2010, the couple became main auctioneers of the Discovery channel series “Storage Wars”; Laura is mostly the ring woman, while her husband Dan serves as the auctioneer, however, the roles can change. The popularity of the show increased Laura’s net worth, and also helped the duo expand their business. Laura has now featured in more than 110 episodes of the highly-acclaimed series, which helped her own popularity too. However, the show experienced a severe drop in ratings, which resulted in temporary cancellation following the eighth season of the series, but has now aired for 11, and has also spawned a number of spin-off series. Regardless, Laura and Dan have continued to run their company and other projects. Laura has made a number of appearances in various shows, including “The Price Is Right” in 1984, and later in “Early Edition” (2000), “Let’s Make a Deal” (2003), “Happening Now” (2012), “Fox and Friends” (2012), “Anderson Live” (2012), “Hot in Cleveland” (2012), and “Home & Family” (2013). She was also a consultant in one episode of “Storage Wars” in 2012, and most recently was an executive producer of a thriller movie called “Fragmented” in 2016. How Rich Laura Dotson Is? Since launching her career, Laura has become quite well-known around the world, and her success has earned her a decent net worth. So, let’s see into her wealth and how rich exactly Laura Dotson is. According to authoritative sources, Laura’s net worth is estimated at $4.5 million, making her one of the most successful reality stars there is. She’s never boasted about her belongings, and has remained down to earth, despite world fame that has followed her since starting her career. She and Dan met in 1996, and after four years decided to marry. Unfortunately, there is no information about whether the couple has children or not. Since becoming a star, Laura has used social media platforms for self-promotion, particularly Twitter. Her Twitter account has more than 94,000 followers, and if you are not already a fan, you have a nice chance to start following one of the most successful reality stars and auctioneers. She has used Twitter to promote her work and has shared some of hers and Dan’s adventures, including trips to auctions. Also, she and Dan share an Instagram page, and so far have around 2,200 followers. Furthermore, they have over 100,000 followers on their official Facebook Page. She has been in the auction business since 1988. In 1996 she met her business and life partner Dan Dotson. Since 2000 she has been married to Dan Dotson. From 2010 to 2017 she served as the main auctioneer and ring-woman in the reality series “Storage Wars”. Laura and Dan reside in San Bernandino, California USA.